Each dog breed has its own habits, behavior patterns and individual grooming needs. Some breeds require extra attention and grooming, while others can last for weeks without any trims or brushing of coats. 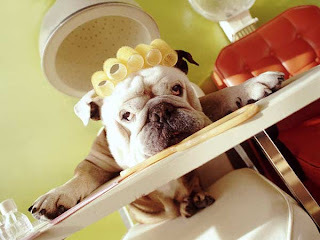 Some breeds need regular exercise and outings while others are lazy and love to relax. Coats that require daily attention, as well as professional grooming, take dedication, effort and hard work. If these coats are not cared for correctly, mats and tangles can result, causing uncomfortable conditions to the dog. These problems can require grooming and medical attention which is always added expenses. Following we have made a list of dog breeds that require extra grooming and trims on a regular basis, when choosing to make any of these dog breeds a part of your family keep in mind that you will have to spend time and money keeping these breeds of dogs well groomed and their coats trimmed.